Rainy days are upon us. While it’s easy to stay indoors and wrap our little ones with blankets to warm them, we must not forget to dress them accordingly, especially when we’re out and about on a rainy day. It’s not enough that what they’re wearing is cute or makes them look cute. It also has to give them protection from the rain or the cold. But why choose between stylish and functional when you can have both? 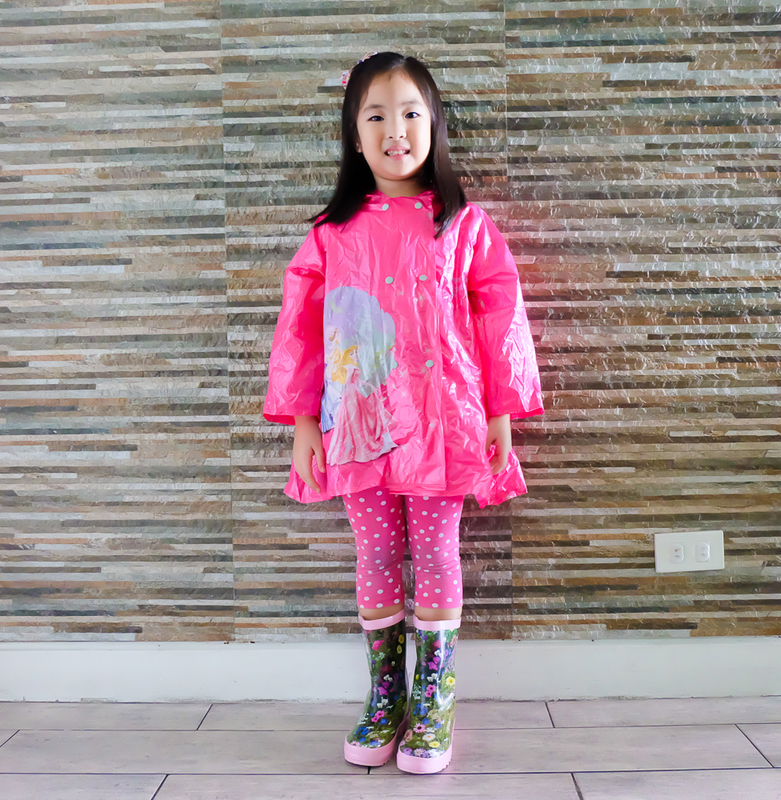 Here’s how my lil’ GJGs dress up on a cold, rainy day. Rain ready and cold combat. 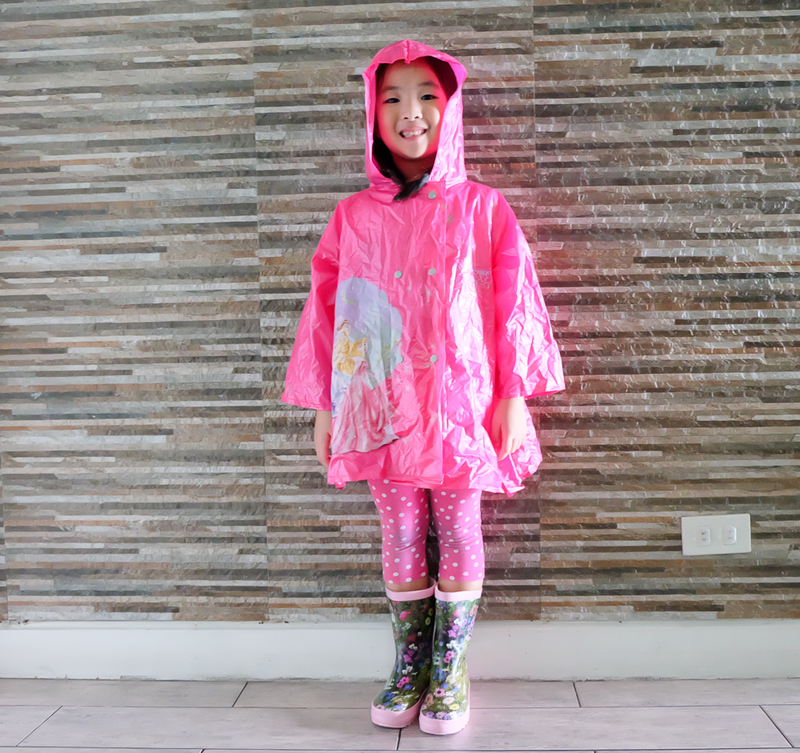 Aside from always bringing an umbrella, arm your little ones with raincoat and rain boots. These are essential gears that will protect them from the rain. Remember that using an umbrella won’t guarantee protection for your lil’ ones, for strong wind and drizzle are two powerful forces that umbrella cannot combat alone. 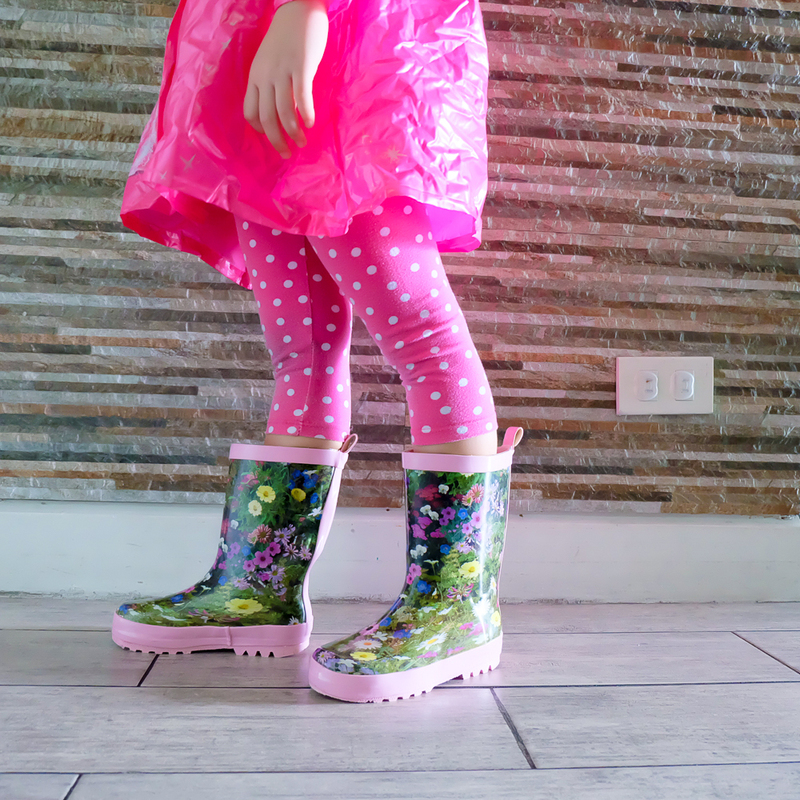 Gum boots are the safest pair of shoes your child can wear on a rainy day. It’s meant to protect your lil’ one’s feet and can also prevent them from slipping on wet floors. My lil’ Ms. GJG loves the rainy day because she can wear her rain coat and rain boots when we walk around our neighborhood. My lil’ Mr. GJG isn’t a fan of rain as much as his sister is. He’d rather stay indoors and keep himself warm and just watch the rain drops on the window pane. Unfortunately, he’s more prone to catch a cold or flu than his sister. With this, I make sure he’s armed with a light cotton jacket to keep him warm. It’s funny because at times he would request to wear or bring a jacket to school because his classroom tends to get too cold. I take cue and always pack a jacket in his bag. 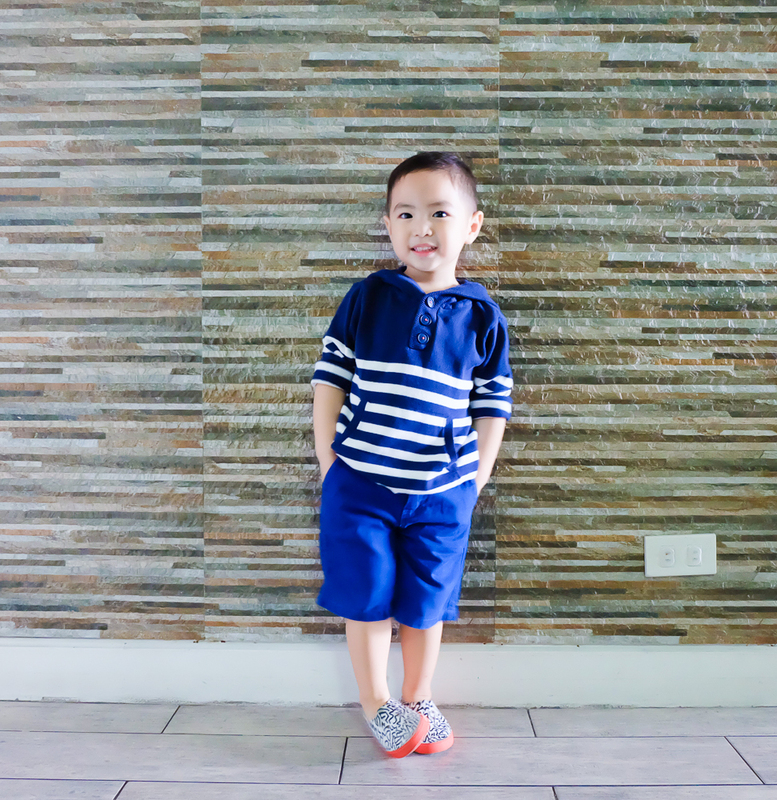 For the rainy season, I let him wear rubber shoes that can protect his feet from getting wet. He’s literally wearing a rubber pair that’s made to repel water and prevents him from slipping & sliding. It’s important to know that there’s a difference between a rain coat and a jacket. A plastic covered rain coat can protect your child from the rain, while a jacket can keep your child warm especially when it’s cold. Dressing up your child can be fun but remember that comfort & safety should always be your utmost priority . If it’s comfortable & stylish then you’ve definitely got a winner. Protecting your children from the rain & cold can only keep them safe on the outside. To prevent them from catching colds & other rainy day illness, let them have enough sleep, eat healthy & nutritious meal and drink lots of water everyday. When it comes to giving them the safest drinking water, give them only the best- Wilkins Distilled Drinking Water, the brand most trusted by moms, like me! Know more about Wilkins Distilled Drinking Water & its commitment to be part of every mom’s circle of trust by following them on their social media channels.